I'd like some information on the Harmony cart. Can someone help? Okay, thanks for answering. I dont understand which one to purchase. I have the 32G card to put my bins on. But which cart should I get? I want a cart for it, not just the chip. Pretty much the one in the picture. What are the difference between them? I know one is more expensive but what else? Which do you recommend? The CHIP and CART are not separate things. The differences are whether you want a standard HARMONY CART or ENCORE and whether it uses a SD card or Micro SD card. Get the one based on the card you have or intend to use. 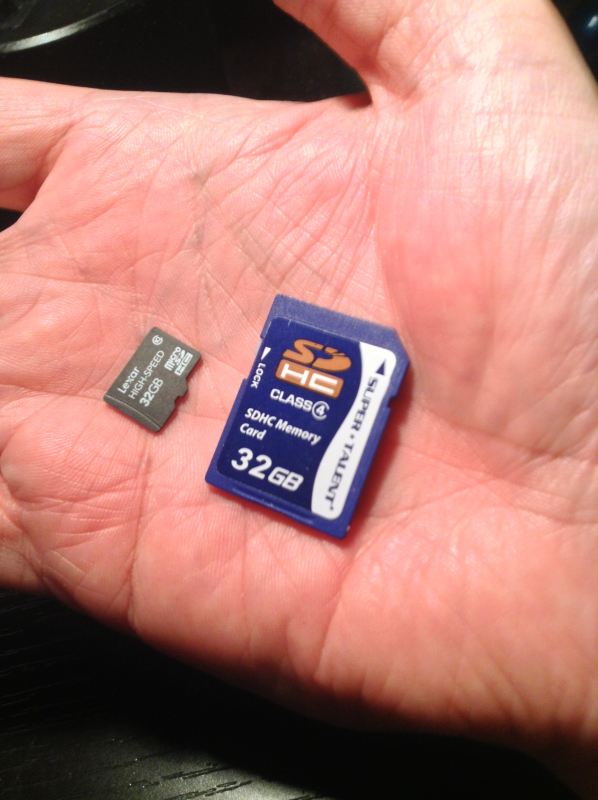 As an example, in my hand is a SD version (right) and MicroSD (left). The other options are pretty self explanatory, don't worry about the Encore version if you are just looking to play roms on your 2600. Edited by OldSchoolRetroGamer, Tue Feb 19, 2019 2:06 AM. Edited by chewy, Tue Feb 19, 2019 4:22 AM. I went with the regular harmony and not the encore, may regret that down the road when Champ Games starts making bigger roms. I got the SD style cart and have used both a regular SD as well as a micro with adapter and both work well. I have concerns too about constantly loading new homebrews and wearing the spring mechanism on the SD card reader but that will probably be years from now and I'll get an encore. I've been thoroughly pleased with my purchase and its amazing to have all my stuff in one cartridge.